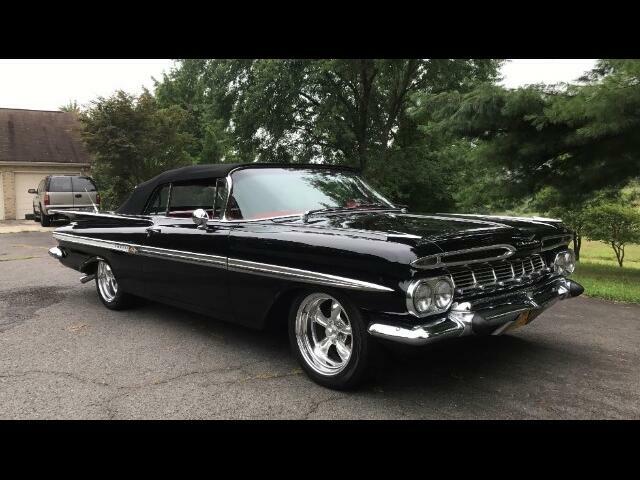 1959 Chevrolet Impala convertible with 283 cu in V8 engine with three two bbl carbs, automatic transmission. Also has power steering, power brakes with front disc, and dual master cylinder, power windows, air conditioning, torque thrust wheels, and more. Has suoer nice body and paint, with excellent chrome, and interior. Very rare hard to find and sharp as they come.